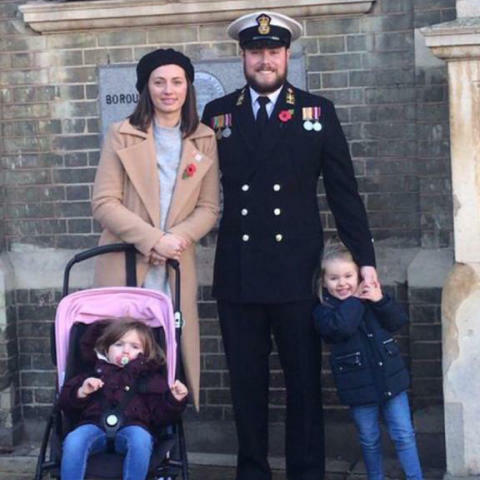 A Royal Navy officer has raised £935 for The Sick Children’s Trust, a charity that provided his family with free ‘Home from Home’ accommodation in December 2016 when his baby required lifesaving treatment in hospital, an hour away from home. Petty Officer Ryan ‘Nobby’ Halls, 32, organised a fundraiser aboard HMS Westminster, the Type 23 frigate of the Royal Navy, last year to thank The Sick Children’s Trust for supporting his family when his daughter, Sadie, was diagnosed with bronchiolitis and rushed to Addenbrooke’s Hospital in Cambridge, miles from the family’s home in Thetford. 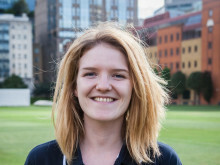 “Finding out Sadie needed to be transferred to Cambridge just two days before Christmas was really tough. At a time when we were meant to be celebrating our newest arrival we found ourselves miles from home and unsure about what the future held. When we found out about The Sick Children’s Trust, and that they had a room in Acorn House where we could stay totally free of charge, we were so relieved. It didn’t just take away the financial worry of how we were going to pay for a hotel over a peak period when prices were sky high, but also meant we were right there, never more than a couple of minutes away from our seriously ill baby on PICU. “We stayed in Acorn House for eight days whilst Sadie was undergoing treatment at Addenbrooke’s Hospital. Fortunately she began to improve quite quickly and it wasn’t long before we were reassured that she would make a full recovery. “When Ryan and Tiffany arrived just two days before Christmas they were so worried about Sadie and it was obvious how important it was for them to be able to stay just two minutes away from where she was being treated. It was a real relief when she began to improve and the doctors reassured her parents she was going to make a full recovery.